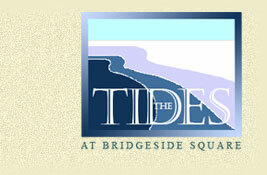 On behalf of the Board of Directors, welcome to The Tides at Bridgeside Square web site. Feel free to explore the features available to the public on this site. If you are a resident of our community, click here to log into the private side of the web site. If you have not been notified of your login name and password, please complete the Login Request Form.